Are you sick of constantly swapping out different HDMI cables? Maybe you’ve got a gaming console, TV box, and computer all hooked up to one TV? Well, you can prevent this nuisance from occurring by using an HDMI switch (or a splitter, or even a combination of the two). 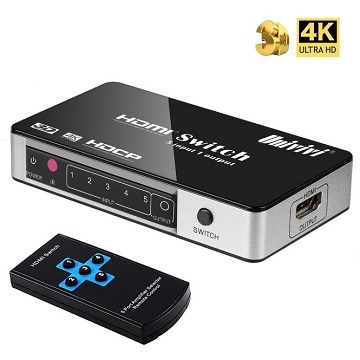 However, as HDMI switches are generally cheap, the market is flooded with low-quality knock-offs that barely function. 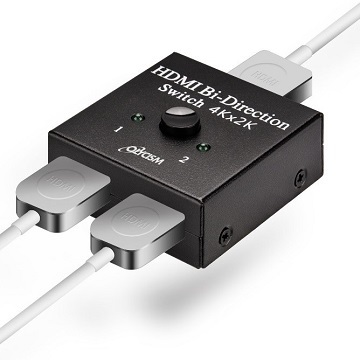 To help you avoid paying for something substandard, we’ve created a list of some of the best HDMI switches on the market today. We have separated our recommendations by budget in the table below for easier reading. 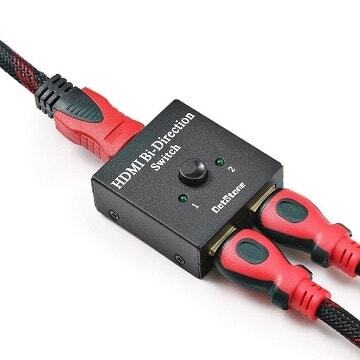 Most people will be absolutely fine with a basic HDMI switch. After all, why break the bank if you only have a few devices connected to the TV? Below, you’ll find some of the most affordable HDMI switches, but are definitely not low-quality. 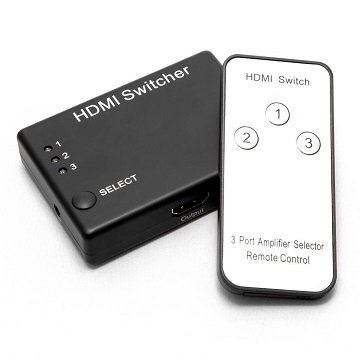 Let’s start by examining the 1st Choice HDMI Switch. This product costs around $9 and features three input ports. No HDMI output cable is required as one is built-in. Switching sources is as simple as pressing the toggle button on top of the unit. So why choose this model? Honestly, it’s about as simple as they come. There are no digital parts that could fail, plus the plastic casing provides ample shock protection. 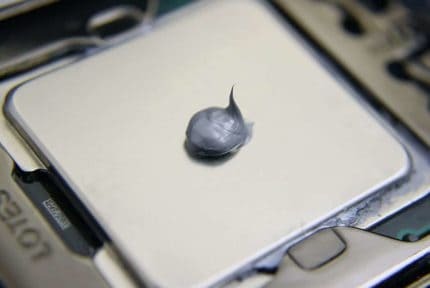 Throw in corrosion-resistant plating, and the ability to draw power from your devices directly, and it’s plain to see why this switch is so popular. Next up is the Olycism HDMI switch, a compact little product with a design so simple even a child could understand it. It has two input ports and a single toggle button on top for switching between them. There’s even an LED to show which source is currently selected. Good right? Well, it gets better. This switch is priced at around $7, so it’s a bargain even on the tightest of budgets. At just 2” in size, this HDMI switch is barely noticeable. It’s also worth remembering that you can tape over the LED if you find it distracting. 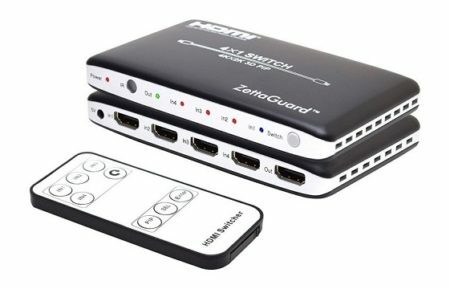 What’s special about the Voygon HDMI switch? 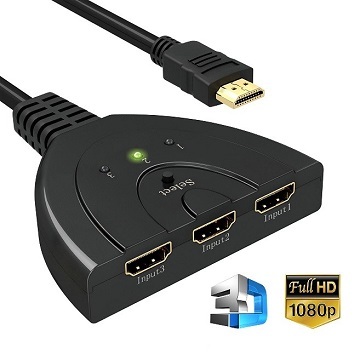 How about the fact that it costs around $11 and offers three input ports? Still not enough? Did we mention it’s ultra-simple to use, supports all common audio formats, and comes with an infrared remote control? Voygon even throw in the batteries for free! Let’s be honest, HDMI switches are useful, but the manually controlled ones can be a bit of a pain, especially if they’re across the room. This switch removes that dilemma entirely, and for less than the price of a movie ticket. Not bad at all. We know what you’re thinking: The Jabor switch seems a little expensive considering it only has two ports, right? Well, that’s true, but it does come with a 12-month limited warranty, 24/7 customer support, and a 30-day guarantee – things very few other products offer. 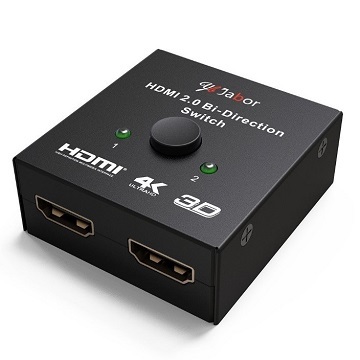 You can use whichever cables you’d like too, as this switch is compliant all the way back to HDMI 1.0. As it’s bidirectional, you can switch not only the input device but also the output one, if you’d like. With all these applications, suddenly the price seems pretty reasonable, doesn’t it? If you’re looking for something with a little more functionality, you might want to consider raising your budget a bit. Below, you’ll find four exceptional, mid-range HDMI switches to choose from. Each is great in its own way, though, so don’t rush into a decision until you’ve seen them all. The Univivi HDMI splitter costs around $30, but it offers more input ports (five) than the majority of its rivals. That’s great, but there has to be something else that helps it justify this price, right? Absolutely! The Univivi splitter can automatically change to display whichever source is currently active. As you might expect, this product comes with a remote control. It’s extremely basic, so there’s no guesswork involved, no remote pairing needed, and no hassle whatsoever. 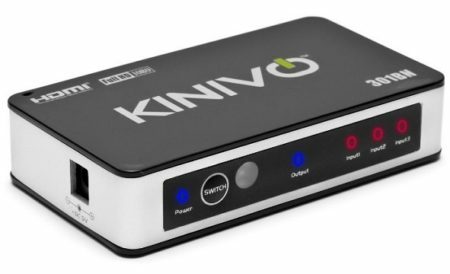 If you’re looking for an HDMI switch that you’ll never outgrow, the Univivi switch is the one for you. Our second mid-budget pick is the Kinivo 301BN. This switch supports up to three input devices at once, can automatically switch to whichever you’re using, and costs less than $30 to boot. You can also switch sources manually, of course, using the included infrared remote control. The 301BN comes with one year’s warranty coverage and works with any resolution up to 1080p. Note that this means it might not work correctly on your 4K TV, due to the introduction of HDCP 2.2 protection. Regardless, this switch is easy to use, versatile, and functional enough to warrant our recommendation. This next product is known as a matrix switch: that is, a combined switch and splitter. It’s from Orei, and it costs just under $35. Now, it does only accept two inputs, but it does give you the ability to use two outputs as well. Admittedly, this is a fairly niche use case, but it could come in handy for some people. This product isn’t fazed by HDCP 2.2 protection. It can handle anything – 3D, 4K, 60Hz, whatever you like. It even comes with a remote control, and the ability to change the audio to a different format from one device to another. If you’ve made it this far, you likely want something with more available ports or added functionality. The products below are among the best available – frankly, if these aren’t enough, you likely need professional-level equipment. Have a look at our premium recommendations below. Let’s kick this category off with the Zettaguard switch. This model accepts up to four different inputs, supports 4K and 3DTV signals, and costs less than $40. Forget which cable is in which port? No problem – just activate the picture-in-picture mode for a clear, labeled preview of each. As with most high-end switches, this one includes a remote control. It’s also capable of automatically switching to the active input source, so most of the time, it takes care of the work for you. In short, if you want to take the stress out of source management, choose the Zettaguard. Why choose a large matrix switch like the Novete? Simply, because it offers more versatility than any other product in its price range (around $65). The Novete has six input ports and two for output. This makes it almost essential if you’re switching between screens regularly. That’s great, but what else does it have to offer? Well, it comes with a fully functional remote control so you can make changes from across the room. It’ll handle any signal you throw at it too, whether it’s HD, UHD, or even 3D. 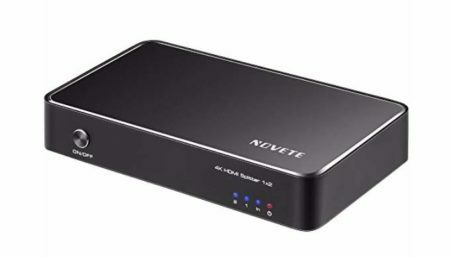 The Novete is best suited to professionals or people who have lots of tech at home. One thing is immediately clear about the IOGEAR HD switch – it’s intended for professional, or at least, semi-pro, usage. With eight inputs allowed, it caters to a need that frankly, most households with never have. Those that do, however, will find it a vital, if pricey (around $140), piece of equipment. We’ve seen some excellent switches so far, but let’s finish this article up with our editor’s pick. This time, we’re talking about the DotStone HDMI hub. The fact is that most people will be perfectly fine with a simple switch like this. It’s affordable (around $10), straightforward, and it gets the job done. Sure, with just two input ports, it’s not the largest model around. It doesn’t come with a remote control, and can’t automatically switch sources, that’s true. However, if you’re just looking for an easier way to swap from one input to another, the DotStone hub is all you need.